Can any couple be better than the wood and the white? A mix of the vintage and the trendy look offers the perfect combination for the modern day home. 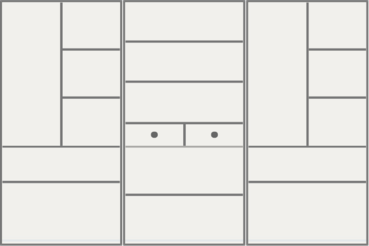 Because that this wardrobe is of medium size (6-doors) vertical walnut pattern is used. Had this been a little wider a horizontal pattern would give a better finish. 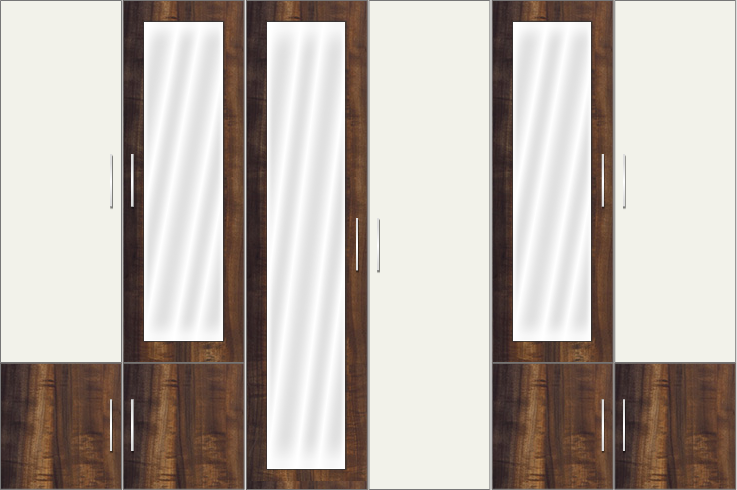 Looking like the polished standard solid wood, the high gloss laminate makes the wardrobe look as rich as the one made with the actual solid wood. 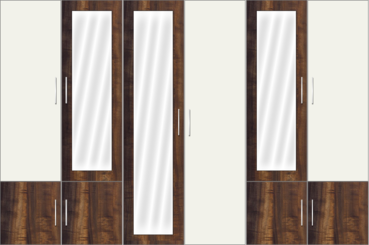 A variety of wooden patterns are available and can be customized to anyone's taste. If one is not particular about the high gloss finish a lot of matte finished patterns are available to go with the white.